How to make a coconut oil lip scrub to exfoliate and moisturize with two simple ingredients. Face scrubs and body scrubs are delightful to use, but what about lip scrubs? You might be missing out! Using a lip scrub not only helps care for your precious pout, it actually makes your lipstick look a lot better too. Here’s an easy coconut oil lip scrub featuring just two ingredients—coconut oil and sugar—to make your lips feel soft and luscious. Why make a coconut oil lip scrub? The first and most obvious reason is that it’s going on your lips. So you’ll want to be extra careful about what’s going into your lip scrub, or lipstick for that matter (which is why we recommend natural lipsticks). It’s best to be safe and use food grade, edible ingredients. Next, the skin on your lips is sensitive! The protective layer on your lips is thinner than the skin on the rest of your body. It doesn’t excrete sebum so it dries out extremely easily, leading to unpleasant dry flakes and cracks. Sebum itself is able to offer UV protection, so your lips are especially vulnerable to sun damage. Your lips are full of nerves, and the constant movement from eating, talking, and kissing can easily wear the skin out. A coconut oil lip scrub removes the extra flakey skin so you can get more out of your lip balm, while also moisturizing and repairing. What are the benefits of a coconut oil lip scrub? First and foremost, a lip scrub will help exfoliate the extra flakey skin on your lips. Not to worry, that flakey stuff is already dead skin. Your body is constantly regenerating new skin cells and shedding the dead ones so your body stays protected. Exfoliating helps clear away dead cells that could end up clogging pores on other areas of your face. Dead skin traps bacteria more easily, so you’ll want to scrub it away to stay healthy. Exfoliating allows for smoother chapstick and lipstick application (and, not to forget, more kissable lips too!). Sugar makes for a great natural exfoliant that won’t hurt your lips. The particles are small enough to be able to spread evenly over your lips, while also having a grainy texture to them that gently exfoliates. You wouldn’t want to be scrubbing away dead skin without replenishing it. Using a lip scrub reveals tender, younger skin underneath that’s extra sensitive. Moisturizing will help keep it protected against the harsh outside elements, and luckily coconut oil is a great moisturizer. Fatty acids and Vitamin E help repair skin cell barriers to prevent against cracks and chapped lips. So while you’re exfoliating with sugar, you’re also replenishing with coconut oil. 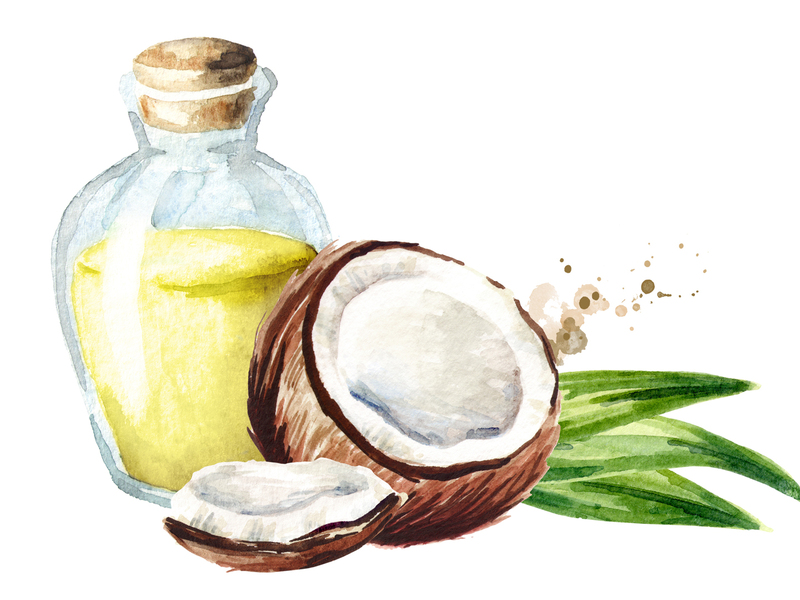 Coconut oil high in ferulic acid, an antioxidant that offers protection against UV rays and other damaging environmental factors. Vitamin E in coconut oil promotes long term healing to keep lips looking more youthful. 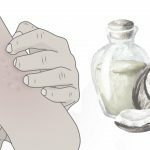 Coconut oil is also naturally antibacterial, so it’s working hard to fight any infectants that could disturb the delicate balance of your skin. Scoop out your coconut oil into a small bowl. Make sure the coconut oil is in a solid form that’s white and soft first. Warm coconut oil becomes a clear liquid, so keep the coconut oil at room temperature or in a fridge. Add brown sugar to the bowl, and use a spoon to mix it with the coconut oil until it’s evenly blended. Add more brown sugar or coconut oil to achieve your preferred consistency. Optional: add ½ teaspoon of cinnamon to the mixture and blend. Cinnamon increases circulation for plumper lips, but only use a teeny tiny amount. It’s a potent ingredient and can easily cause irritation. Scoop out the mixture and store in a small glass container. Remember to keep it in the fridge! Your homemade lip scrub should last 2-3 weeks, but trust your gut if it looks or smells off. Use your lip scrub! Always use a clean finger to dip into the mixture to keep it fresh. Apply evenly over lips and gently scrub with fingers for a minute. Leave on for another minute to enjoy the moisturizing coconut oil (and a few licks!) before rinsing with warm water. Follow with a SPF lip balm. DIY Face Masks for Acne: Simple face masks to make at home, featuring the most potent, natural acne-fighting ingredients. 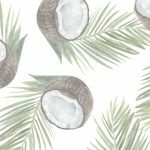 How to Use Coconut Oil for Eyelashes: As far as lash treatments go, coconut oil for eyelashes is easy to try for lusher lashes. How to Use Avocado Oil for Hair: Avocados aren’t just a dietary guilty pleasure. There are real benefits to using avocado oil for hair.